At the Autonomous Vehicle Technology Expo in Novi, Michigan, AVSimulation has demonstrated with Microsoft the integration between SCANeR™, AVSimulation’s autonomous driving solution and Microsoft Azure Batch that will act as a job scheduler and generate virtual machines for on-demand autonomous driving simulation. According to Guillaume Millet, Chief Technology Officer at AVSimulation this is a big step towards moving SCANeR™ to the cloud and to offer an on-demand simulation solution to automotive customers. “Mass simulation is becoming a competitive advantage to reduce time-to-market. To validate vehicles to ensure they meet safety and security requirements manufacturers have to use physical road tracks, as well as simulate situations that would be difficult to replicate on real test tracks. For example, a combination of bad weather conditions, multiple pedestrians and heavy traffic would be costly to replicate in the physical world but can be achieved with simulation tools such as SCANeR™. 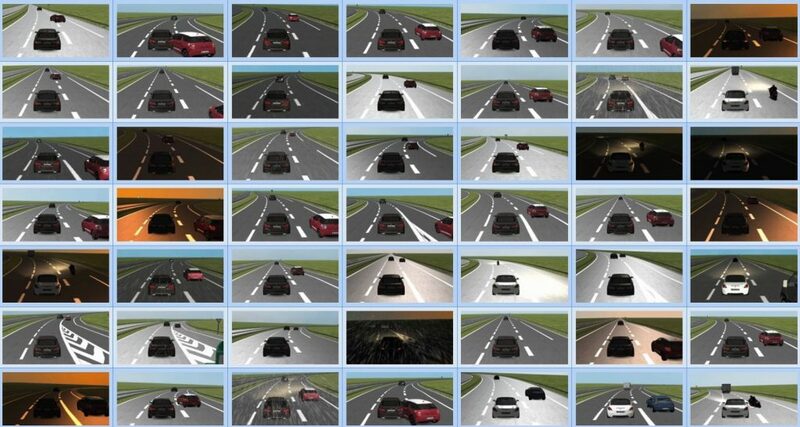 AVSimulation has built a proof of concept to help Automotive manufacturers use unlimited High-Performance Compute (HPC) resources that are required for these intensive simulation campaigns. Both companies are collaborating to move SCANeR™ to the Azure cloud platform. For the automotive industry, the combined value proposition will leverage deep automotive knowledge, more than 20 years of experience in driving, Human Machine Interface (HMI) technologies as well as Advanced Driver Assistance Systems (ADAS) simulation from both AVSimulation and Microsoft.